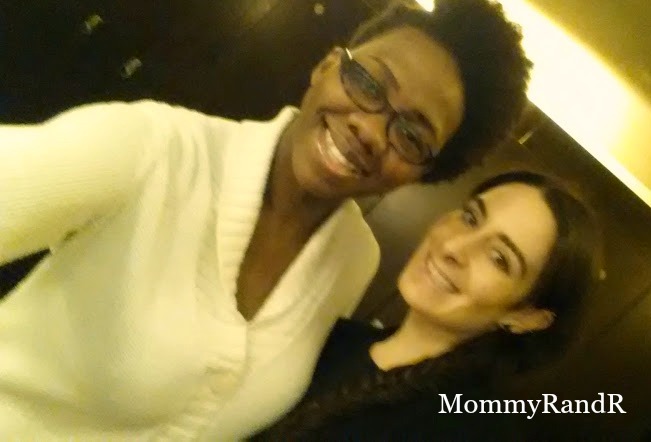 Late last year I entered and won a giveaway hosted by Allison Cooper of Project Motherhood featuring Glam & Go. It was a 3 pack of their specialty Glam&Go Express Style. Never heard of Glam & Go? Well, neither did I prior to winning. Upon a little research I discovered its a mini hair salon that is located in exclusive gyms and spas throughout NYC and can also be found in Connecticut and Miami. The goal of Glam & Go is to get you from “sweaty to swanky” in 15 minutes flat! I swear this is the greatest thing ever created and begs the question, why didn’t I think of that?! Now when you leave the gym you won’t have sweaty gym hair. You’ll be fit and and fabulous! 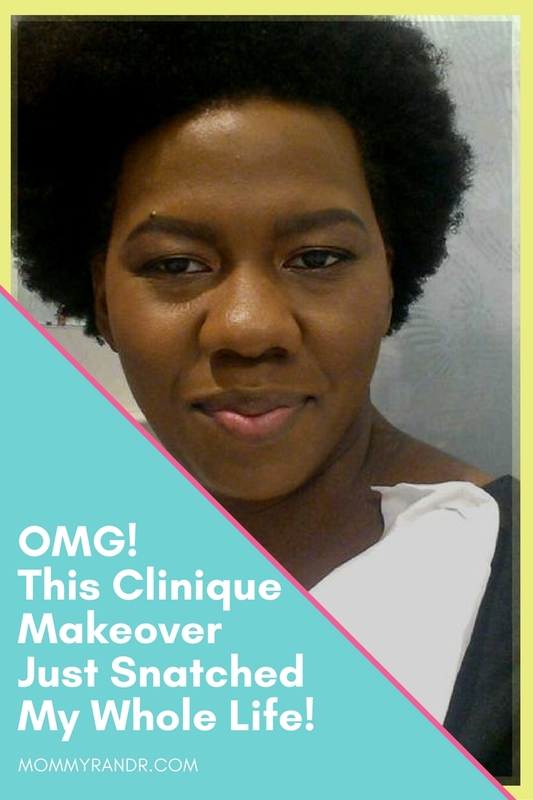 I booked my first of 3 appointments online, which was super easy to use. With their many locations around the city it was hard to choose where I would go. But, I ultimately settled on The Setai Club & Spa Wall Street. I chose it because it would be a quick 30 minute trip to and from home. I also chose my birthday on January 24th to treat myself. I have a LOT of hair, so I already knew that I would probably use all 3 appointments and then some to get my afro blown out. But that wasn’t my concern. I’m somewhat leery of salons that are not specifically for natural hair. In my previous experience salons say they can handle it but their utter lack of confusion with me in the chair says otherwise. However, Erika assured me all the stylists were very well versed in all types of hair. It made me feel a little but better but I was still a little on the defensive. I would wait 3 weeks to see if I would be proven wrong. My birthday finally rolls around and of course its snowing. I was running about 15 minutes late but the receptionist at the Setai told me it was no problem and that I would be seen as soon as I got there. 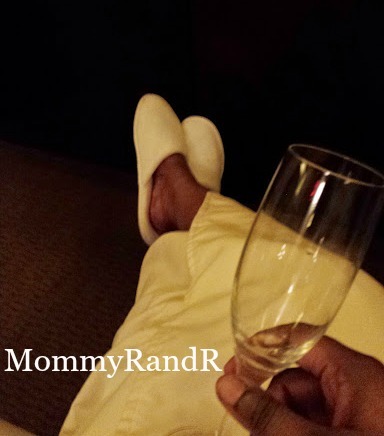 When I stepped off the elevator and into the lobby…. My jaw was immediately on the floor. This was far beyond anything I could have imagined. It was stunning with its red and brown Asian theme. I walked into what could only be described as luxuriousness at its finest. The space was so quiet that you could hear a pin drop. There was no yelling or loud music. It was zen and it was just what I needed. The receptionist greeted me and showed me to the back where I wold meet my Glam & Go stylist. She was beyond nice. We talked about my hair and we both agreed that my blow out would take more than 15 minutes. But due to the weather and openings due to cancellations she would blow my puff out no problems. I thanked her for the offer but let her know that I had another appointment so I would settle on something simpler. I chose a messy side braid. I like the messy on purpose look. 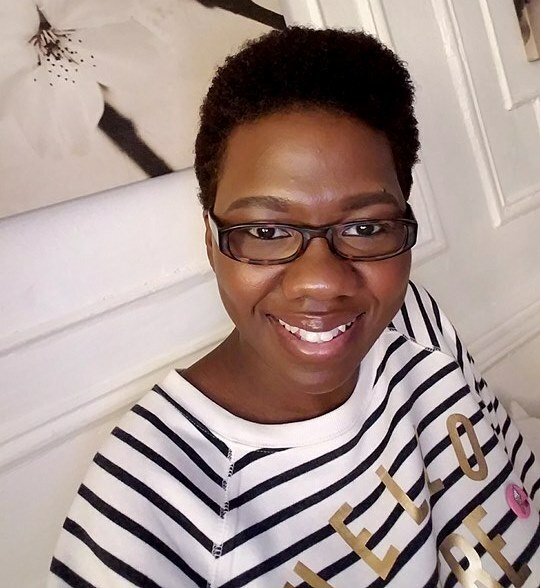 I was happy that she was knowledgeable regarding my natural hair and gave me tips on certain products for proper maintenance, including color. We laughed and chatted while she did my hair and when she was done I was happy. On my way out I thanked the lovely receptionists and told them this was a great start to my birthday. To which they responded, “OH MY GOD why didn’t you tell us? You need to go in the spa! Let’s get some champagne!” I knew I had another event to go to but all I could do was shrug and say, okay. They led me back into the locker room area and I swapped my sweater, jeans and furry boots for fluffy slippers, an over sized soft thick robe and a glass of champagne. The ladies informed me that because I had used the Glam & Go services it allowed me usage of the steam room and because it was my special day I needed to take full advantage. If I thought I had already enjoyed my self before I can assure you that was nothing in compared to what I was about to experience. ing. I just couldn’t put my finger on it. I think because it was dry. So, I went next door into the wet steam. Yes! This is what was missing in my life. This is something that every mom needs in her life, at least twice a month. I need to add this feature to my custom shower when I buy my first house. It was so steamy I couldn’t see my hand in front of my face, let alone a place to sit. While awkwardly flailing my arms about to find the bench I realized I was not alone in there. I apologized for disturbing her but really I was apologizing for looking like a nitwit. I found the bench, sat and quickly realized this is why I always hear about people going to the spa. I always thought the heat from the hot shower in my bathroom was good enough. Not even close. I laid my head back on the wall and exhaled. I let go of all what has been troubling me. It felt great and it felt even better when my steam mate left giving me the opportunity to open my towel and fully take in all the steam had to offer. I don’t know how long I was in the steam room but it felt like forever. But I was in there long enough for it to make me late to the other events I had planned for later that day. And you know what? I was okay with that, because it was totally worth it. I also see why those who can afford it go as much as they do. I really need to start budgeting this because there is no way that I can stop now. My body and mind need this a type treatment a lot more than I realized. When my steam was over I made my way to the showers. There weren’t any ordinary showers, these were so above my paygrade it took me a full minute to figure out how to work the knobs. Once I got everything working I had the option of using the detachable shower head, a 4 head multi-shower system or the enormous rainfall shower. I chose a combination of the last two. Between the water and the soaps my whole body felt like a limp noodle. Leaving this hidden tranquil retreat would be harder than I had imagined. Why fight the jungle streets of NYC when I can stay here, forever. I wish the description of my experience would be enough but its not. 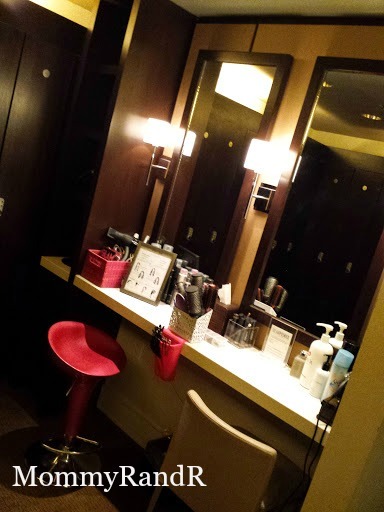 There are no words that I can use to describe how incredible my experience was at the Glam & Go Express Salon at The Setai Club & Spa Wall Street. I highly recommend both services together or separate. Truthfully, you won’t be able to do one without the other. Once the steam gets to your hair you’ll need to get it done so you might as well book an appointment. See where the brilliance of Glam & Go comes in at. Be sure to visit Glam & Go’s service menu to pick a salon package for you and The Setai Club & Spa for a complete menu of their spa services. With 2 more chances to go I have decided to pick a new location for my 2nd appointment next month so stay tuned. Edited to add: When I was going through my pockets the day after my visit I found what I thought was a business card for The Setai Club but it turned out to be a complementary VIP service card valued at almost $100! Valentine’s day is around the corner so you can best believe me and the hubs will be cashing this bad boy in! Aww man I’m so jealous because I’ve heard great things about the Setai club, and I’m mad I never ever win things like this lol. I’m hating HARD. And you got a $100 gift credit to go back … I’m crying. LOL Great review. I wish I came with you. I was so shocked at the gift card. I went to put the card in my special place for follow ups and something told me to look at the back and boom! It was like I hit the lotto, again! my job gave me a glam and go pass because we have one in our location but I am wondering if I can switch! Fun times! Haha! Maybe you can. I Wall Street has set the bar VERY high for me. Neither did I! This place is hard to find and you don’t think too much when you’re on the elevator but once you step off you’re in another world. You forget you’re in NYC. It was so amazing! I have to get a group of moms and come back. That was an amazing experience. I’m considering dropping in for a Glam and Go to tame these tresses one day soon! What an experience and any mom would love to have this wonderful retreat. Please let us know if you next visit at one of the other locations compare.